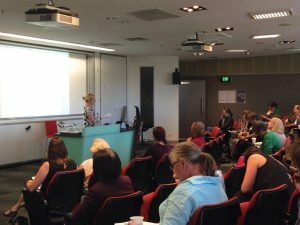 Caitlin Adams reviews a recent symposium offering historical and contemporary perspectives towards mothering and motherhood in Australia. On the first day of the Australian Mothering in Contemporary and Historical Perspective Symposium, held at The University of Melbourne between February 15 and 16, 2018, historian Shurlee Swain argued that ‘the term “mother” has become a linguistic minefield.’ Over the next two days, and throughout the presentations, it became clear that the term ‘mother’ was not the only idea resting on shaky ground. 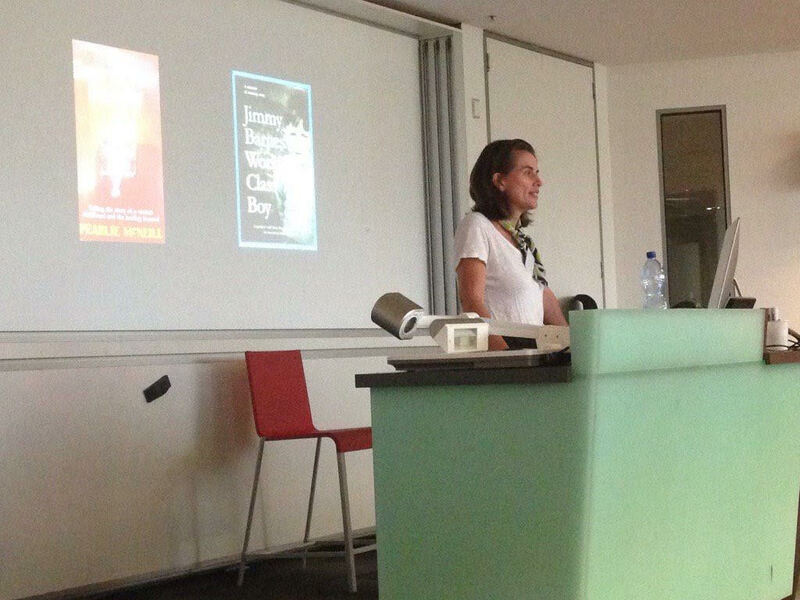 Organisers Carla Pascoe and Petra Bueskens, an historian and sociologist respectively, assembled over twenty presenters from a range of disciplines, who explored ‘mothering’ as a complex and constantly shifting notion. They revealed that Australian mothers past and present took on many identities: as workers, carers, political activists, citizens, researchers, and key parts of families and communities. And as society’s understanding of mothering changed, so too did women’s experiences of mothering. Petra Bueskens addresses an enthusiastic audience. Photograph by Carla Pascoe. One way in which the understanding of mothering has changed in Australian society is in relation to mothers’ political activism. 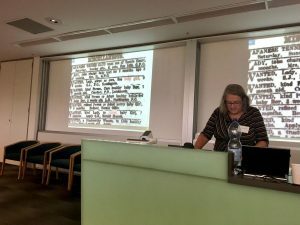 On the symposium’s first day, social theorist Julie Stephens mapped how maternalist politics have shifted in Australia. She argued that although women in the past assumed the role of ‘citizen mothers,’ contemporary Australian society has rejected motherhood as a platform for political activism. Historian Marilyn Lake also teased out the complexities in maternalist politics. While the language of ‘mothers rights’ was an effective political tool in early-twentieth-century Australia, Lake argued that this notion of maternal citizenship locked women into economic dependency and restrictive gendered identity. Sociologists Kerreen Reiger and Monica Campo also explored the ways in which activism for care during childbirth has changed. While childbirth advocacy had its roots in the political action of the 1970s, it has since shifted to a model centred around ‘individual rights,’ in which Australian mothers have taken on the role of consumers. Each of these talks showed that who we think ‘mothers’ are closely shapes their ability to take political action. Not only have our understandings of mothers as political activists changed, so too have our understandings of who can be a mother. Historian Tanya Evans’ research into the practice of family historians in Australia revealed interesting parallels between women as researchers and women as mothers. Family historians not only create narratives of motherhood, but often understand their role through the language of mothering: they liken their research to raising children. Swain’s presentation also demonstrated flexible notions of who could mother children. Examining adoption advertisements across Australia between the 1840s and 1950s, Swain found that women seeking to acquire children claimed the term ‘mother’ for themselves. Shurlee Swain examines advertisements seeking to ‘buy’ and ‘sell’ children. Photograph by Petra Bueskens. As Australian society reimagined who mothers are and what they should be, women’s experiences of mothering also changed. I was struck by how many of the presentations placed women’s voices and lives at the centre of their analysis. It was stirring to hear women recount their own experiences through interviews and oral histories. 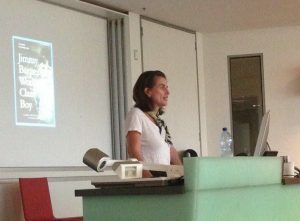 Sociologist Kate Johnston-Ataata used interviews with mothers of young children to examine the ways in which women sought to comprehend their emotional responses to parenthood in contemporary Australia. Historian Patricia Grimshaw similarly used oral histories to reveal the little-examined childcare strategies of working mothers in Victoria during the 1990s. Pascoe shared oral histories from her research on women becoming mothers for the first time. While she found that women’s experiences of motherhood from post war Australia to the present varied greatly, their ways of narrating their pregnancies shared distinct similarities. Yet women’s experiences of mothering never occur in a vacuum. Historian Alistair Thomson, sociologist Lyn Craig, and Jennifer Hocking, who is completing a Ph.D. in public health, all examined the position of mothers in the context of the family. Thomson used oral histories to explore the ways in which men parenting in the 1980s understood their role as fathers. Hocking used the lens of lactation consultants to stress the significance of the mother-child relationship for women breastfeeding their infants. Craig demonstrated that within contemporary Australian families, the gendered division of labour places mothers under more time pressure than their counterparts in Korea, Spain and Finland. Likewise, using children’s memoirs as an avenue into women’s experiences of family violence in twentieth-century Australia, historian Catherine Kevin found that women’s and children’s experiences were closely intertwined. Ideas about who mothers are and what mothering involves also shapes the ways that mothers are treated by social policies and institutions, often leading to violence and disadvantage. Comparing obstetric violence in post-war and contemporary Australia, historian Paula Michaels demonstrated that despite decades of birth activism, the authority of physicians continues to reduce women’s autonomy. This makes mothers vulnerable to physical and psychological violence during childbirth. Violence, disadvantage, and child removal have also shaped the experiences of Aboriginal Australian mothers in the past, as journalist and social philosopher Anne Manne noted. Turning to contemporary government policy, Bueskens and sociologists Kristin Natalier and Kay Cook explored the institutional disadvantage and discrimination faced by single mothers. They demonstrated that the vicious cycle of decreased support and increased surveillance places single mothers in economically precarious situations and leaves them with few strategies for survival. Sociologist Karen Lane also reviewed Australia’s current neo-liberal ‘audit-culture,’ arguing that it devalues the work of mothers in migrant and refugee families. Catherine Kevin examines children’s memoirs as a way to access stories of domestic violence. Photograph by Carla Pascoe. While definitions and experiences of ‘mothering’ have certainly shifted throughout history, mothers continue to face similar challenges. The panel discussion that concluded the symposium, chaired by sociologist Bettina Cass, stressed this idea. Sociologists Dina Bowman and Deb Brennan, and Interim CEO in the Victorian Office for Prevention and Women’s Equality Marion Frere, pondered the numerous threads and stories woven through each of the presentations, tracing common themes and potential policy implications for presenters’ research. They noted recent trends, such as increases in surveillance, the pull of the market, and the rampant commodification of mothering. Yet they also argued that issues around violence and disadvantage persist throughout history. Brennan stressed that current issues often have long pasts, and that historical perspectives should be key to developing effective policies. Frere’s experience in the Victorian Office of Prevention and Women’s Equality supported this. She explained that often seemingly ‘new’ policy developments have some predecessor or history. The organisers not only put together a fantastic program, but also fostered an inclusive, interactive and supportive conference environment. Thanks to funding from both the Australian Research Council and The University of Melbourne, registration for the symposium was free. This ensured the symposium remained accessible and inclusive. It was also fitting that, at a conference about mothering, mothers with childcare responsibilities could attend. It was lovely that one attendee felt supported in bringing her 13-month-old son along to the sessions. The symposium also had a clear outward focus and sought to involve the wider community. 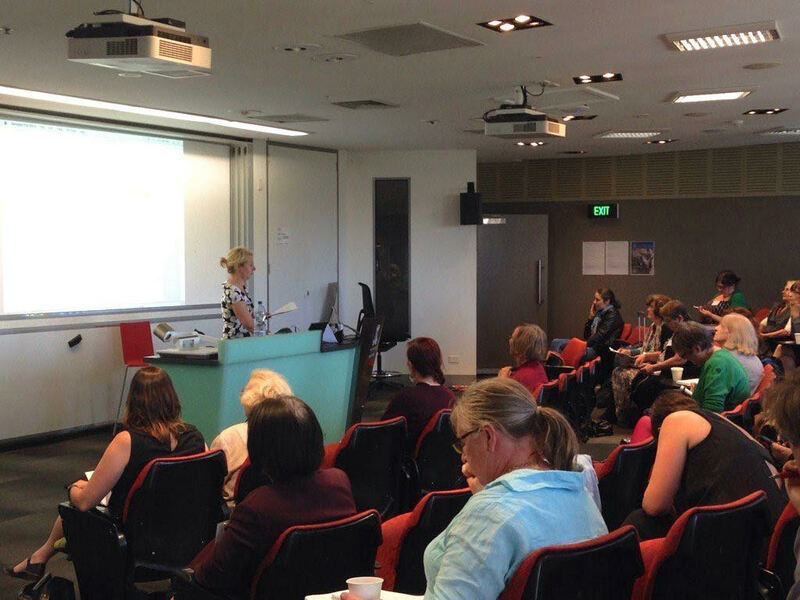 It was fantastic to have representatives from organisations – including the Australian Institute of Family Studies, Centre of Perinatal Excellence, Brotherhood of St Laurence, and Council of Single Mothers and their Children – who chaired sessions. The involvement of community representatives and policy experts was a tangible reminder that many issues that mothers faced in the past still exist today. Presenters showed that meanings and experiences of mothering are complex, messy and constantly shifting. Yet despite this chaotic picture, there was a unanimous commitment to social justice. While there is still much to be achieved for Australian mothers, it is clear that there are dedicated individuals working for this change. 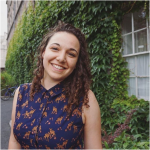 Caitlin Adams is a Master of Research candidate in the Department of Modern History, Politics and International Relations at Macquarie University. 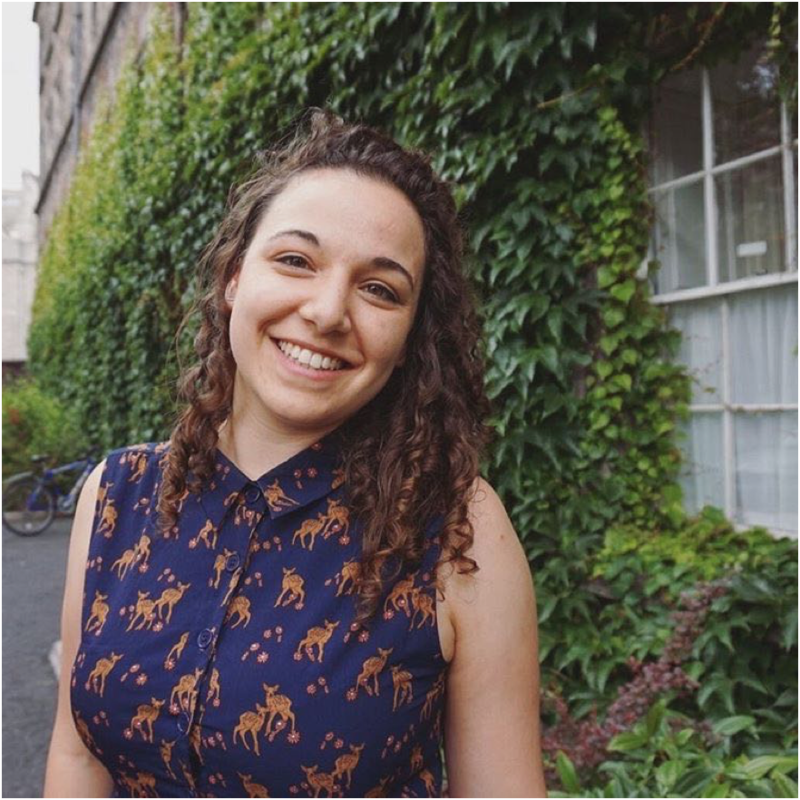 She is currently completing a thesis that explores the attitudes and experience of mothers living in poverty in Australia and England in the early nineteenth century. Follow Caitlin on Twitter @Caitlinadams314.